As a warm up to this summer’s major football event, Nike look back at the latest 4 World cups. Why you ask? Since 1998 the iconic Nike Mercurial collection has been pushing the boundaries and always played a pivotal role in the World Cup proceedings. In December Nike honoured a true legend, when they launched a new colourway of the Nike Mercurial Vapor, which was inspired by the first ever Mercurial, famously worn by El Fenómeno, better known as Ronaldo, in 1998. 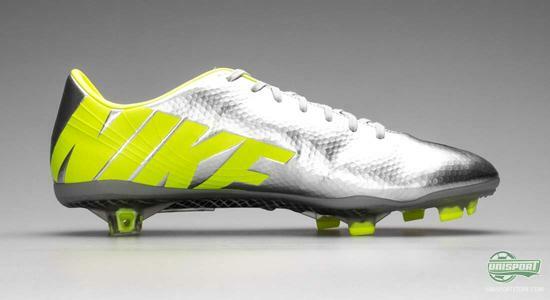 Now they dial the clock 4 years forward, where Ronaldo once again stole the show with a pair of groundbreaking boots. Another thing that stole the show was Ronaldo’s infamous hairdo, which still haunts our dreams. 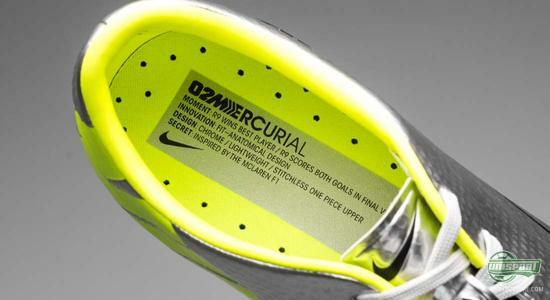 The 2002 model in many ways set new standards for the technology behind a football boot. It was the first football boot ever to weigh below 200 grams, just as it was the first time Nike ever experimented with a stitch-free upper. 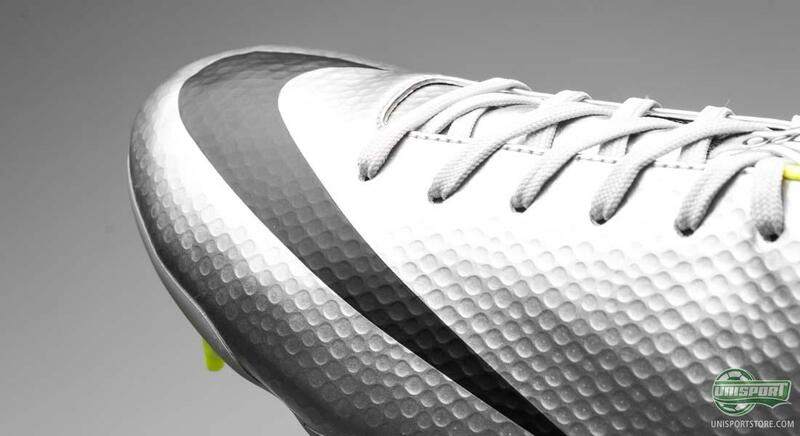 The shape of the football boot was also much sharper than football boots had ever been before. There is no doubt that this Mercurial Vapor played a central role in R9’s recordbreaking World Cup, where he became the tournament’s most scoring player. 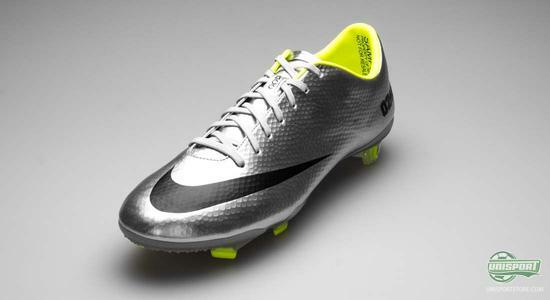 Would you like to get your hands on the new Nike Mercurial Vapor IX 02? Get it here - just €209. If we take a look at Nike’s 2002 celebratory model, it is much clearer than on the ’98 tribute, where the inspiration comes from. They have taken the lime- and chrome colours from the original design and the flashy design really does tempt you to stop by the local barber and get the Ronaldo crescent fringe, with the shaved head. In this tribute series we have seen, Nike add a few small details, so it is apparent, which model the new colourway pays homage to. 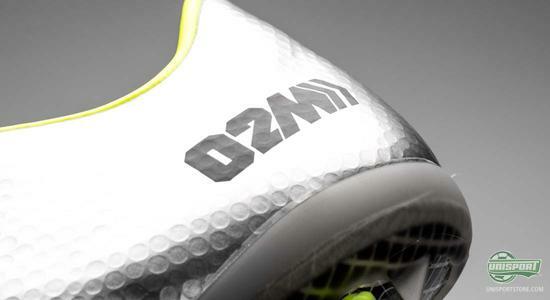 Therefore Nike have placed a small 02M-logo, just like they did on the ’98 trbiute, on the outside of the heel. On this colourway we also find a few “fun facts” about the boot. An Example is that it was wearing this boot that R9 scored his two goals in the World Cup final, thus securing a fifth World Cup for Brazil. A good bunch of you probably already knew that, but did you also know that the inspiration for the boot comes from a car? The McLarens F1 race car’s design was the base for the 2002 Mercurial. While this Nike Mercurial Vapor IX celebrates the model from 2002, Nike still have the technologies, which you can see on the current Mercurial model. If you take a look at the boots upper, you quickly notice the small bumps in the upper, which is one of the Nike Mercurial Vapor IX’s trademark characteristics. 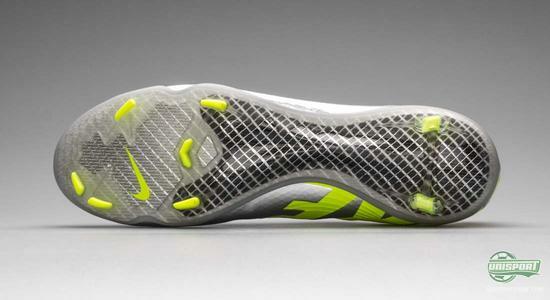 This is the Nike Speed Control technology, which ensures an improved grip on the ball, when traveling at high speed. Nike’s innovative All Conditions Control *(ACC) technology has been incorporated into the upper and makes sure that your grip on the ball is the same in wet weather, as it would otherwise be in dry conditions. This is a technology that definitely comes in handy with the rainfall currently around Europe. The stud-configuration is also based on the current Mercurial IX technology, where just two studs are placed on the heel, thus making for a quick penetration of the ground. This paired with the asymmetrical studs allows for great explosiveness, when kicking off from the ground. The newest Mercurial Vapor IX in the series of World Cup tributes takes you down memory lane, back to Japan/Korea and apparently also a McLarens F1 racecar. What are your thoughts about this tribute boot? 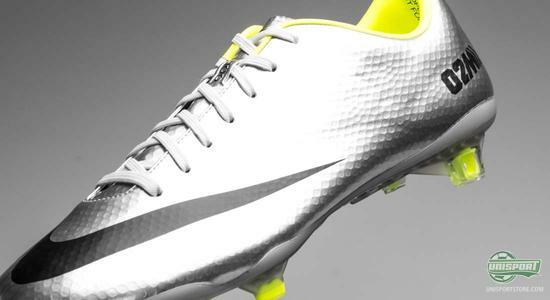 And what colour would you like to see the Nike Mercurial Vapor in next? Share your thoughts with us in the comment-section down below, or on Twitter and Facebook.